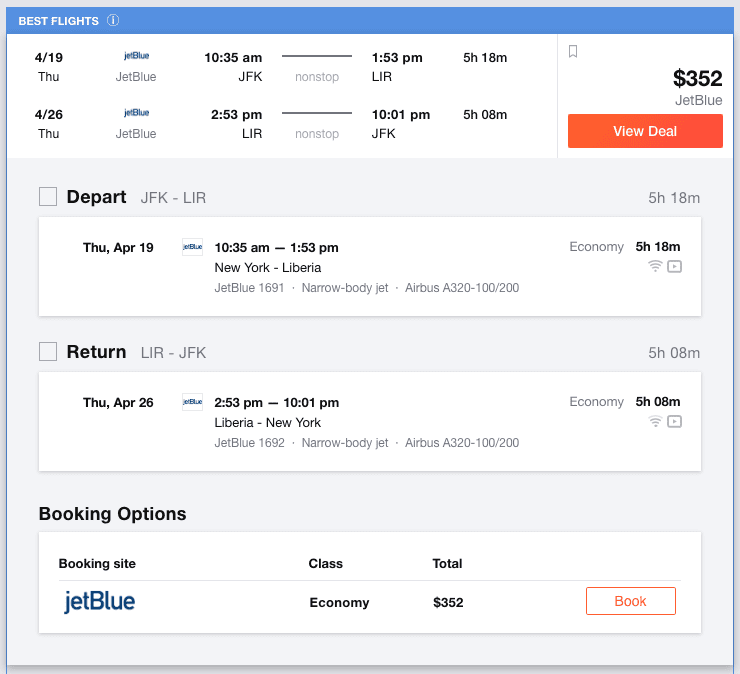 Round trip flights to Costa Rica from New York City for April 2018 for $352! Good news for Costa Rica lovers living in the Big Apple. Tons of availability for April 2018, and the best part is the flights are direct. These are relatively short flights at only 5 hours. You can land in time to catch the sunset on the beach! March and May also had some cheap flights on Jet Blue as well.